Welcome to the Pleasant Lake Protective Association (PLPA) website! The PLPA was incorporated in 1969 by a group of far-sighted New London residents who valued the wonderful natural resource we have in Pleasant Lake and wanted to provide for its long-term protection. Thirty-seven years later in 2006, we revised our articles of agreement and by-laws to better reflect the increased array and complexity of our yearly activities. Those revisions also helped the PLPA qualify as a 501(c) 3 non-profit organization in 2007. As you explore the many aspects of the PLPA and the important work it does, please consider joining us as a member and/or as a volunteer. Pleasant Lake is very special and we, like the far-sighted people who founded the PLPA so long ago, need to work hard to protect and preserve this natural treasure for generations to come. 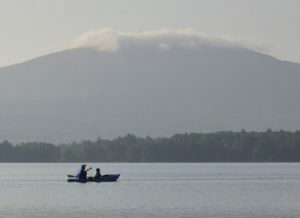 For all who visit or live in New London, NH, or the surrounding communities, the importance of Pleasant Lake to our sense of place, and the regional watershed is unquestionable. 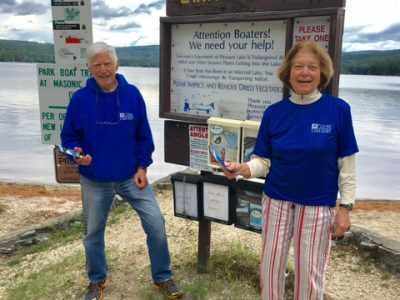 The Pleasant Lake Protective Association, as a recognized 501 (c) 3 tax exempt non-profit organization, is dedicated to responsible stewardship of the lake’s quality, natural beauty, and recreational opportunities. 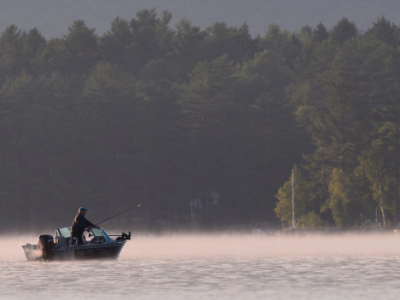 Pleasant Lake reminds all anglers that a new law increasing protection for loons from lead fishing tackle went into effect in 2016. 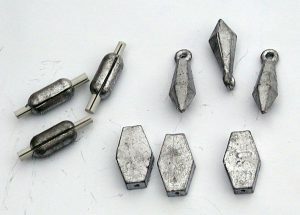 This current law bans the SALE and the freshwater USE of lead sinkers and jigs weighing one ounce or less. What’s in your tackle box and on your fishing line? Please dispose of the old lead tackle properly. Please obey the law and stop using lead tackle! The romance of the wild...We feel that romance this time of year. 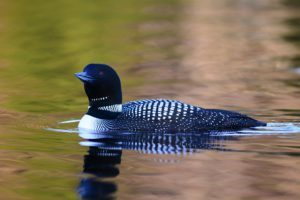 During April and early May the lakes belong to the loons. We are mere spectators. 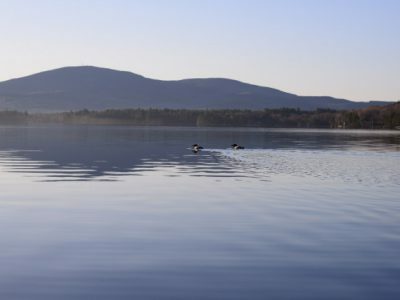 The sight of Mother and Father Loon cruising the lake together is likely to bring tears of joy. PLPA works to collect information concerning development, possible zoning changes and subdivision regulations within the Pleasant Lake watershed and works with the PLPA Board to determine appropriate action if Pleasant Lake or its watershed is threatened. PLPA assists and supports the work of federal, state and local authorities in protecting Pleasant Lake’s natural population of fish. PLPA monitors and reports on the state of water birds and the other wildlife of Pleasant Lake and its watershed. It also works to protect the natural populations of these water birds and other wildlife. 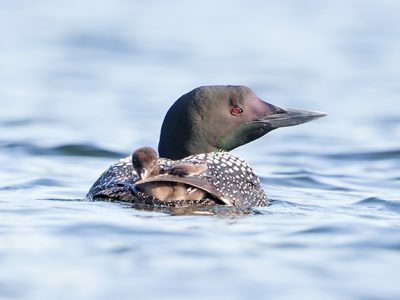 The top priority is the Common Loon, a threatened species in the State of New Hampshire. PLPA works to keep exotic invasive weeds out of Pleasant Lake. This committee is responsible for two very important PLPA programs: the Lake Host Program and Weed Watchers.